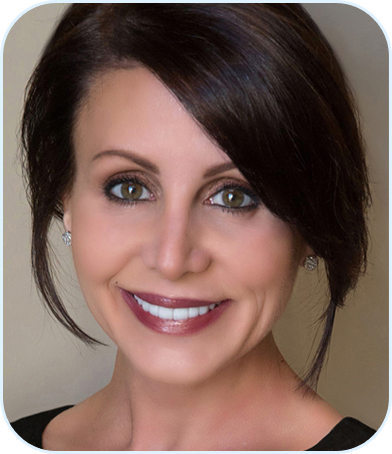 Laurie’s multi-faceted dental career spans over 25 years and her insights in all aspects of dentistry provide a competitive edge that practices need to succeed and to unlock their full potential. She has inspired hundreds of practices achieve extraordinary, consistent and measurable success because she truly partners with them. She is committed to understanding their ‘story’, ‘reality’ and ‘aspirations’. Laurie is extensively schooled in the art and science of personal development and has dedicated herself to studying the distinctions between outstanding practices. As a Dental Coach, not only does Laurie motivate and empower teams to become leaders, build practice growth and streamline business systems, she also follows through to ensure implementation and results. She teaches Vision based strategic planning that creates a strong supportive work environment that truly embraces the practices’ Vision. She realizes that the key in transforming a dental office into a team orientated, low stress and highly profitable business is to constantly ask better questions. As an energetic, engaging and powerful speaker, Laurie’s experience within the circuit includes the Universities of Toronto, Western, The Millennium Aesthetics programs and Toronto’s Annual Winter Clinic. She has been a frequent guest lecturer for Patterson Dental, Henry Schein and numerous Study Clubs. Audiences leave her programs with practical and relevant information that will make a difference in their practices and in their lives! Her customized approach, zest for life and unique insights have made her one of the fastest growing and most sought after coaches in the industry today.